Sally is responsible for developing Per Ardua’s HR search capability from Group HRD level to all specialist Director level roles across the HR function. She is also responsible for driving Per Ardua’s Diversity & Inclusion agenda with a focus on senior female talent. Prior to joining, Sally headed the Executive Search practice for the boutique human capital consultancy, Aretai Consulting, specialising in placing Senior HR Executives. 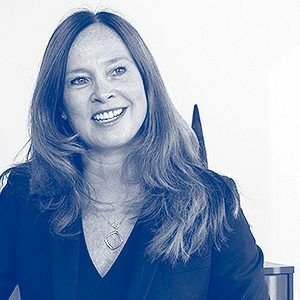 She has over 20 years’ experience of placing Heads of HR, Reward & Performance, OD and Talent into key positions across a range of sectors including Banking, Insurance, Asset Management, Private Equity, Hedge Funds and Professional Services. Prior to 1997 Sally was the Head of Lateral recruitment at Andersen and ran graduate recruitment at Chemical/Chase Manhattan Bank. She started her career as a graduate HR trainee at the Prudential, where she worked both as an HR Business Partner and as a management development specialist.